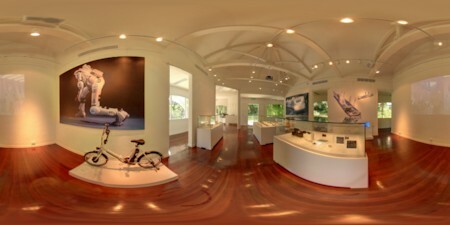 Japan Creative Centre – ITCOW 360 [Pano Asia]. “Innovation and tradition” is the main theme of the Centre. The Centre will showcase Japan’s “soft power,” such as pop-culture and traditional arts, besides creating a space for experiencing the charms of Japan. The contents of the Centre can be enjoyed not only by the Singaporeans but also by the people of other Southeast Asian countries. The Centre’s highlights of “Cool Japan” will include high technology, design, gourmet, fashion, traditional craft, traditional art, music and movie, anime and manga. Mr. Toshiyuki Kita, a world-renown industrial designer and design producer, is in charge of the concept and design of the Centre as the Overall Project Producer of the JCC project. It is not public sectors but private sectors who should take the lead in promoting “soft power.” Hence, we would like to ask the private sectors to provide us with ideas and initiatives. In particular, we will highly appreciate any ideas and requests as to what is appropriate and favourable for the projects of the Centre. Currently on display at the JCC is the Good Design Exhibition. This will be the first and the opening exhibition at the JCC.